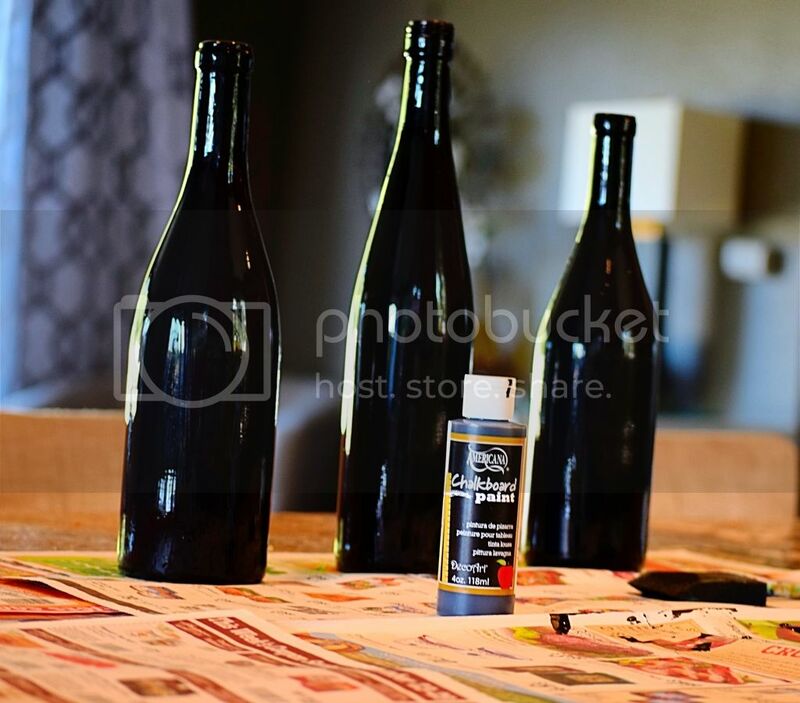 Today I have a fun little DIY project for you and a really great tip for taking off those pesky bottle labels. 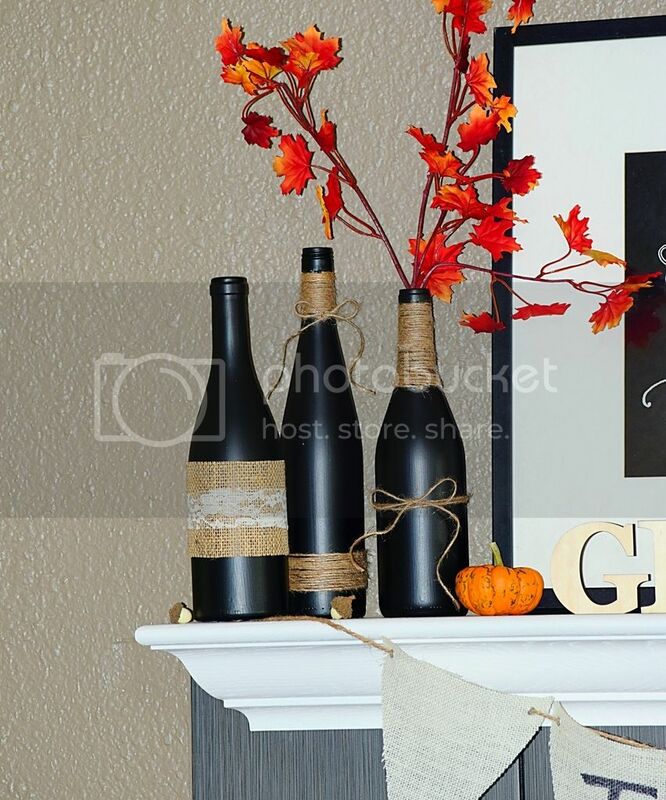 These DIY chalkboard wine bottles are so versatile… you can use them just about any time of year, but today I’ll show you how I used them for my fall decor. 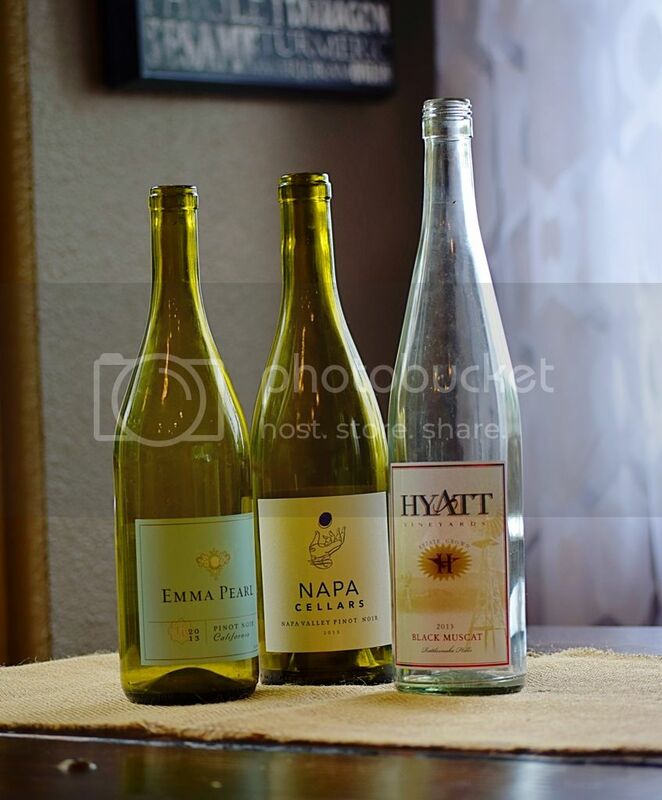 When I’ve worked with wine bottles in the past, the most annoying part was getting the labels off. I’ve read so many “tips and tricks” on how to take them off including soaking them for hours in vinegar and soap, scrubbing them with peanut butter, rubbing them with goo gone, and so on. But none of these proved to work flawlessly. Until BAM- the oven trick. Just stick the bottles into a 350° oven for 15 minutes and then carefully peel the labels off. They come off all in one piece, with very little glue left behind. 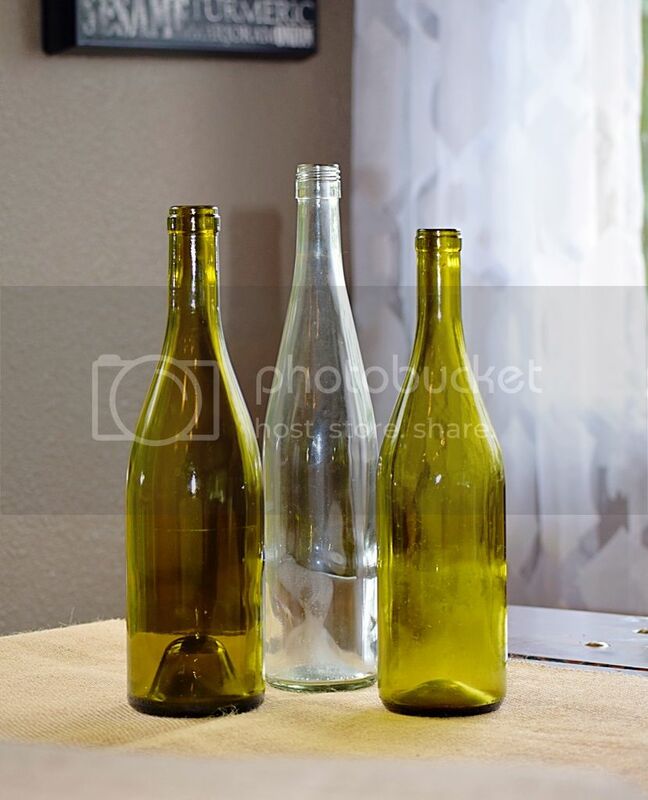 I scrubbed the remaining glue off under hot water and the wine bottles were clean in about 3 minutes! All clean and cooling off before we paint them! After one coat of paint. 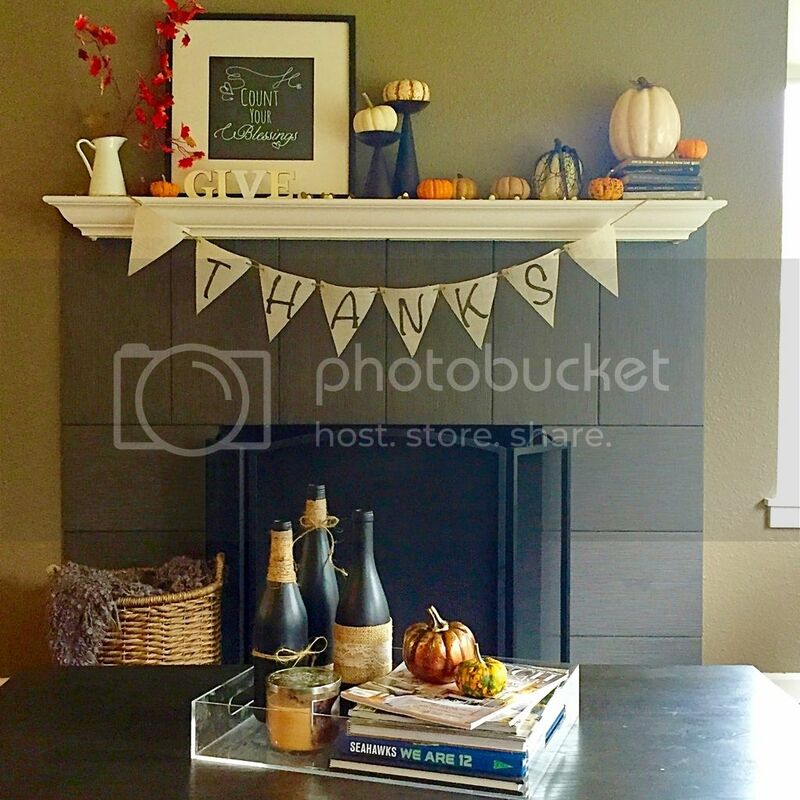 I used the “Americana” brand of chalkboard paint that I picked up from Michaels for $4. Just use a regular foam brush to paint it on. Allow the paint to dry to the touch and apply a second coat. Once dry, decorate however you would like. I used burlap, lace, and twine and adhered it to the bottle with a hot glue gun. Easy peasy! Drying time aside, this project took me only about 30 minutes! All cute and dressed up on my mantle just in time for fall. Decided to try them out on my coffee table as well. Which do you like better? Hope you have as much fun with this project as I did!